The influenza virus. Image ©2004 Pearson Education, all rights reserved. Before embarking on a long-winded discussion of flu, the H1N1 strain, vaccines, and media responsibility in the post-internet age, it’s best to start with some rudimentary facts about exactly what the influenza virus is and how it invades and replicates in the human body. 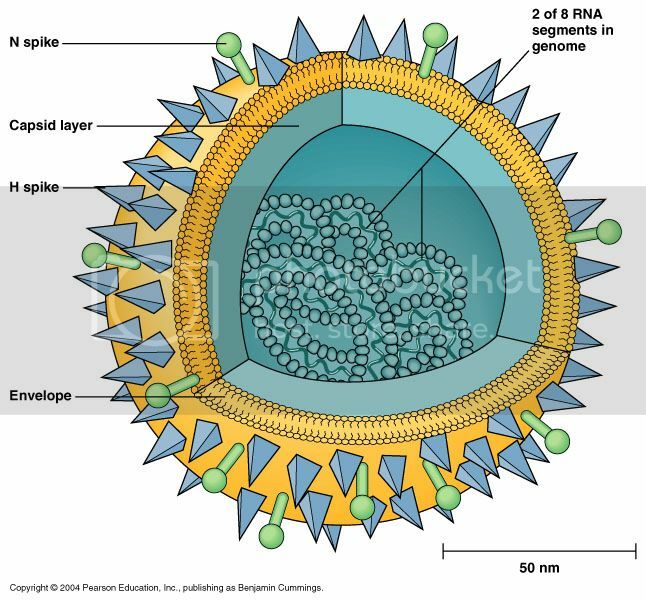 While the human genome consists of a whopping 23,000 genes, the influenza virus is relatively simple. Only 8 genes, responsible for creating 11 unique proteins of the influenza genome, can ruin your whole winter. Of those 8, the most important two are the blue H spike (Hemagglutinin or HA) and the green N spike (Neuraminidase or NA). When people refer to strains of flu, such as H1N1, H2N1, H5N1, they are talking about the different genetic “mixes and matches” of the available subtypes of HA, of which there are currently 16, and NA, of which there are 9 to date. Luckily for humans, only small permutations of these end up posing a danger to our healths: the first three hemagglutinins (H1, H2, and H3) and selective neuraminidases (N1 and N2 in pandemics and N3 and N7 in isolated deaths) are found in human influenzas. Predicting future deadly combinations of the HA and NA enzymes with a degree of certainty presents an enormous challenge to biologists. Think of the H spike and N spike as the Bonnie and Clyde of influenza infection—they have to work together to pull off the heist. The H spike finds special receptors on the surface of cells that contain an organic molecule called sialic acid, which it then sticks to and uses to form a chemical bond between the virus and the cell, like a lock going into a key. But as long as the blue H spikes are clutching to the cell’s surface, the virus is immobile. So the N spike comes along and cleaves the sialic acid chemical bond, the virus is free to make itself at home and you are one sick camper. The two current influenza drugs on the market Relenza and Tamiflu act as inhibitors, or blockers, of the NA enzyme. In what is the best visual representation I have ever seen of how flu invades and replicates in the body, NPR teamed up with medical animator David Bolinsky to explain how one lone virus copy turns into millions by using your body’s own DNA machinery. A now-iconic photograph from LIFE magazine of nurses tending to military patients at an emergency hospital in Camp Funston, Kansas during the Spanish Flu epidemic of 1918. A graph of age distribution in deaths for the 1918 flu (compared to a regular pandemic) from patients in Boston. There have been three major post-industrial pandemics: the 1957 Asian flu, the 1968 Hong Kong flu and of course, the 1918 Spanish flu. 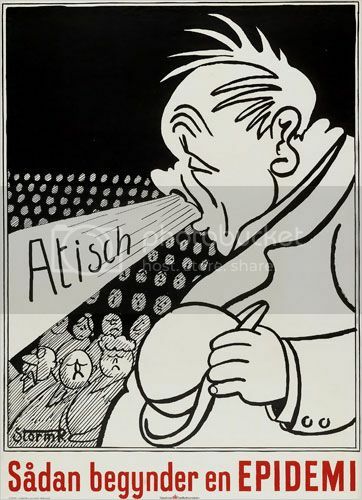 The 1918 pandemic, one of the worst public health disasters of all time, killed 50 million people worldwide (a conservative estimate) at a time when the global population was only 2 billion—yes, 2.5% of the world’s population. It is said to have killed more people than the Black Plauge and the AIDS epidemic. Besides the three provisions discussed above, there is one major difference between pandemics and yearly epidemics: how they kill. 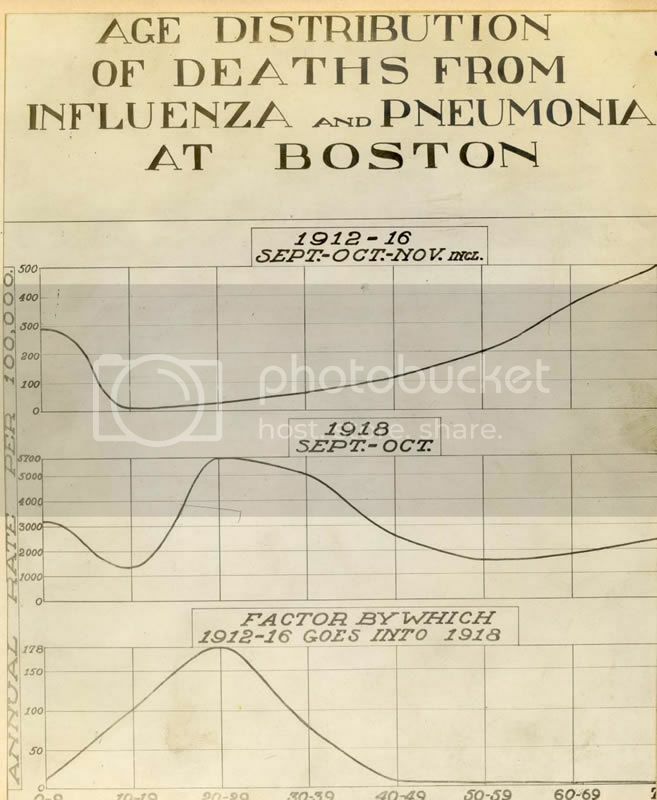 The graph on the right, containing preserved data from 1918 shows two different death curves, one from regular epidemics in and around the Spanish Flu, and another from the Spanish Flu itself. Normally, yearly flu primarily kills the extremely young and extremely old, what epidemiologists call a “U-shaped curve”. Pandemics such as the 1918 flu kill primarily healthy young people, resulting in a “W-shaped curve”. World Bank economist Milan Brahmbhatt estimated that the economic toll of a similar pandemic, due to the loss of such a chunk of the healthy work force, would be approximately 2% of the world’s GDP. So why all the fuss about H1N1 swine flu, and is it warranted? From a public health epidemiology standpoint… yes. 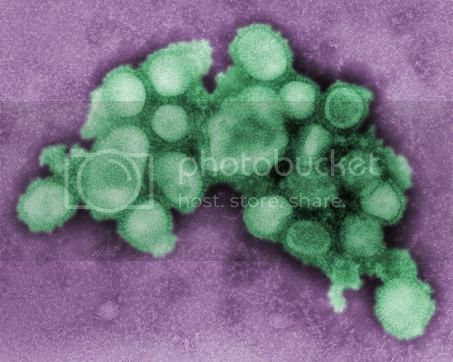 Biological mapping and sequencing has revealed the H1N1 virus to be a novel mutation that has not circulated in human populations before this year. It has also fulfilled all of the requirements to be classified as a pandemic. On June 11th, Dr. Margaret Chan, Director-General of the World Health Organization declared H1N1 at the start of a worldwide flu pandemic. Just a week ago, President Obama declared a state of emergency in the United States to help mitigate the spread of H1N1. To date, it has killed approximately 6,000 people worldwide, with the European Centre for Disease Prevention and Control estimating an 11% increase in deaths just this week. While it is not a preordained certainty that H1N1 will absolutely result in a global pandemic carrying a similar degree of severity to any of the three from the 20th Century, it has enough disconcerting characteristics and pandemic potential to validate scientists’ calls for preventive measures, including vaccination and anti-viral stockpiles. For a terrific rundown and rebuttal of some common swine flu myths, I recommend this New Scientist article. I also feel the need to address controversy surrounding the H1N1 vaccine, which has been both unduly vilified in the general population and improperly explained by the general media (a subject we’ll delve into in a moment). Fewer than half of Americans say they are planning on getting the H1N1 vaccine for a multitude of reasons, not the least of which include complacency about the virus potency and fear of side effects from the vaccine. While we have strived to address questions about the H1N1 virus above, I cannot state this more strongly or definitively: the vaccine developed for H1N1 is not being manufactured any differently than seasonal vaccines. It has the same ingredients, safety profile, and side effects (rare). The official flu site of the U.S. Government provides an excellent overview of vaccine safety and ingredients as well as a link for common questions and answers. The idea of advertising and marketing as tools to combat public health crises is certainly nothing new. As early as the 1860s, and peaking during the two World Wars, clever taglines married beautiful artwork to combat everything from venereal disease to tuberculosis, and they worked. Now a permanent collection of 20th-century health posters at the National Library of Medicine, these compelling, cheeky visual messages changed soldiers’ sexual habits abroad, cultural norms around communicable diseases, and widespread awareness of rising epidemics. Those campaigns were, of course, launched during a less cluttered technological era, but sometimes, simple, smart advertising can be the most effective. Especially in today’s age of multitudinous multi-functional multimedia, more information can just mean… more information. A recent study from the World Bank addressed why we don’t do much about climate change despite the plethora of data that conclusively deduces we must. The reasoning? An influx of too much information and not enough targeting of individual behaviors. And make no mistake that advertising has an enormous subconscious influence on our behavior. A seminal paper out of the Yale University Psychology Department earlier this year showed external cues from television advertising increased food consumption 45% in children and adults irrespective of hunger. There is no reason that such enormous influence can’t and shouldn’t be harnessed in eliciting positive behavioral changes during the 2009-2010 flu season (and beyond). Images such as this frightened masked Mexican citizen flooded media coverage of the spring and summer "Swine Flu Scare". Image ©2009 Associated Press. The media in particular, with their highly sensationalized mood swing swine flu coverage, has played an enormously irresponsible role in fanning the fires of public fear and misinformation. Remember the desolate empty streets of Mexico City? Or the U.S. pre-emptively declaring a public health emergency? Quarantines, social distancing, vaccine and Tamiflu stockpiles, dire expert warnings, surely, impending doom was imminent. And when it wasn’t, the Great Swine Flu Scare of spring turned into a Great Swine Flu Joke of the summer— literally. Social media satire included Facebook and Twitter pages seemingly run by the swine flu itself and a hilarious interview with the Los Angeles Times. The humor underscored a more serious swine flu fatigue incurred by intense media saturation, often missing key scientific information or balanced reporting. In its analysis of swine flu accuracy in the media, the Columbia Journalism Review recently lambasted the ubiquitous hype, and the cognitive dissonance between fact and fiction in reporting by “respected” journalism outlets. Worse than these confusing messages is the tapestry of opinions masquerading as fact about a subject buoyed by plenty of sound science and research. The most egregious offender of late was Bill Maher, who used his show as a bully pulpit to decry immunization with the H1N1 vaccine, and the severity of H1N1 itself, in an interview so fraught with misguided medicine and unsound reasoning (the majority of which we’ve addressed above) that it pains me to give it publicity on my site. The video is worth a view if only for the rebuttals of a more rational Bill, former Senate majority leader Dr. Frist. The use of advertising as a viral public health campaign is a double edged sword. Back in 1976, an earlier wave of swine flu fear gripped the nation. 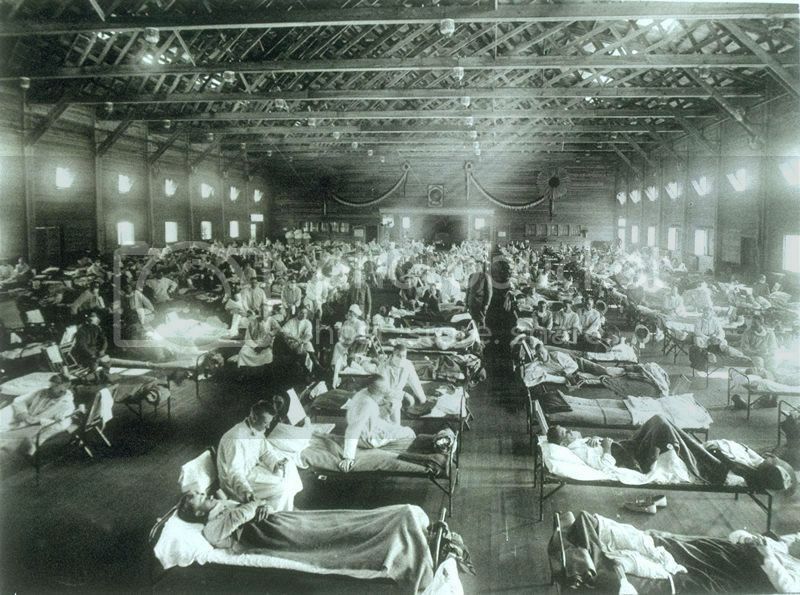 Like the 2009 strain, it was unseen in the general population since the 1918 flu, and touched off a similar wave of national panic about whether a widespread plague threatened the entire United States. In what has argued as both public health’s finest hour and the swine flu “fiasco”, President Gerald Ford decided all 220 million Americans had to be immunized, and ordered hasty production of an untested vaccine that killed over 500 Americans and was ultimately halted as unsafe. Part of the government propaganda to encourage vaccination included the two frightening television commercials below. This is such an excellent piece on multiple fronts. The tagline—catch it, bin it, kill it—effectively communicates sound hygiene and advocates hand washing, still by far the most potent way to ward off germs and prevent illness. It’s sleek, clever, funny, and most importantly, gross! I washed my hands after just viewing it. In conjunction with print ads, billboards and yes, old-fashioned posters, similar public service announcements should be placed during the most popular primetime television shows, sporting events, concerts, other public gatherings, and most importantly, as part of any in-flight boarding process. What’s a Confused Germaphobe To Do? Wash your hands! Short of getting vaccinated, there is no easier, cheaper, faster, more effective way of preventing colds and flu. In fact, the CDC estimates that 80% of all seasonal flu is spread by hand contact. However, not only do you need to wash your hands, you need to do so properly. Eat, drink, sleep Never underestimate the role that good nutrition, plenty of water, and a good night’s rest can have to boost the immune system and help it naturally combat exposure to viruses, especially if you make the choice to abstain from the flu vaccine. Of all three, sleep is the most critical. Read this fascinating NY Science Times article from earlier this fall about a sleep study that showed a direct correlation between lack of sleep and increased likelihood of catching a cold. Accept no imitations Yes, Virginia, people try to take advantage and scam even in a pandemic. Color yourself shocked. The government is issuing warnings about a growing list of Swine Flu scams, some of which could be deadly. Remember, only Tamiflu and Relenza are recommended as flu treatments and only your doctor can prescribe them. The FDA has also issued a comprehensive list of fraudulent H1N1 products, including air purifiers, soaps, masks and other concoctions. Before buying ANYTHING that claims to prevent or combat the flu, please refer to it. Get technical Thanks to the wonders of modern technology, it’s easier than ever to track the flu, know how to prevent it and what to do if you get it. Flu.gov, the WebMD Focus on the Flu site, and the Centers for Disease Control flu homepage are excellent educational starting points. Google now provides a flu tracker to explore the severity of flu trends around the world. And for those of you that are, like the ScriptPhD, of the iPhone persuasion, a new iPhone application called “Outbreaks Near Me” developed at MIT, and available as a free download, provides GPS data on outbreak clusters in your neighborhood. If you have any other tips, cool gadgetry, public health resources or web sites we should add to our list, please don’t hesitate to comment or email me. ScriptPhD.com covers science and technology in entertainment, media and pop culture. Follow us on Twitter and our Facebook fan page. Subscribe to email alerts for new posts on our home page. Holy comprehensive!! Terrific stuff and very well researched, Jovana. Thanks so much for the kind words, Dave. Really appreciate the feedback, especially from such an awesome ad man and flu buff! Tough to give a balanced and fair assessment of such a hot-button topic, but we try.